When we marvel at today’s special effects, we have to appreciate the history of those effects. We have to appreciate the legends who pushed the visuals effects that dazzled our imaginations, and inspired new generations to develop the art and technology further. Today, we have lost one of those legends. 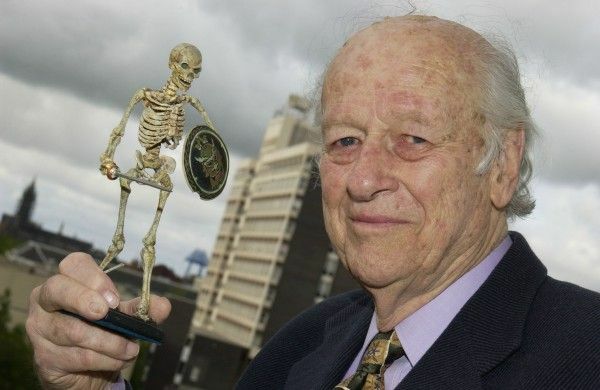 The family of Ray Harryhausen has announced that the visual effects pioneer has passed away at the age of 92. Harryhausen was inspired by the visual effects in 1933 King Kong, and devoted decades of his life to the creation of models and stop-motion animation in movies including the original Clash of the Titans, It Came from Beneath the Sea, Mysterious Island, One Million Years B.C., and perhaps his most famous creation, the skeleton battle in Jason and the Argonauts. Over the next several days, I’m sure plenty of today’s most famous filmmakers will comment on Harryhausen’s passing, and the tremendous influence he had on their work. You can read a statement from Harryhausen’s family after the jump. Our deepest condolences to them and to Mr. Harryhausen’s friends.